Gareth joined Influit Asia in February 2016 as General Counsel based in the Bangkok office. His role with the group is part of the Executive Management Team and concentrates on the oversight of its legal, risk and compliance functions. As may differ from legal functions within other companies where the in-house counsel is a “gateway” at the end of a process, Gareth’s belief is that the General Counsel has to be an integrated and trusted part of the operations and decision-making groups within the company. This allows him to be in a position to establish and understand the strategies and targets of the group, and thereby be best placed to proactively guide the company on risks and structure on a continual basis, and to explore creative ways to achieve those targets successfully and compliantly. At the beginning of his 14+ year career thus far, Gareth was a private practice lawyer based in Aberdeen, UK, with a top-tier firm, focused on mergers and acquisitions and private equity, predominantly in the oil & gas industry. He then moved to take up the position of Senior Commercial Counsel for GE Oil & Gas with responsibility for its commercial operations across North Europe across all product and service lines. 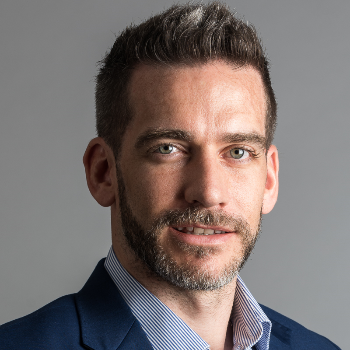 In 2011, Gareth then joined Reservoir Group, a former client and SCF Partners private-equity backed oilfield service company, as its General Counsel to establish its legal and risk function, and to form an integral part of its extensive acquisition activity as part of its ‘buy and build’ model. This culminated in the sale to ALS Limited (ASX) in 2013, and Gareth relocating to Houston, TX, to take a wider role of General Counsel for Global Oil & Gas, and for North America across the other business lines in ALS. Within the above roles, Gareth has obtained expertise across many different subjects, including private equity, M&A, commercial operations, risk and compliance, intellectual property, labour and corporate governance, including valuable experience of working in 3 different continents and as part of vastly differing businesses and management teams. Gareth has a LLB (Hons) law degree and Diploma in Legal Practice from Aberdeen University, and is a Notary Public and certified Business Coach. Gareth lives in Bangkok and is married with three young children. He is an avid fitness enthusiast and enjoys watching and playing most sports (mainly football), and spending time with his young family.